Social media engagement requires you to create meaningful impressions to build awareness, gain trust, and increase customer loyalty. Social media engagement also provides your happy customers with the means to spread the word about how great you are to their friends, fans, and followings — all of whom may be potential customers for you. More than anything, well-executed social media engagement helps you close sales and then keeps the conversations going. Consumers won’t be engaged if you give them the impression that you care only about sales. They’re interested in having a relationship with the brands they love, not in consuming commercial after commercial. For ongoing engagement, find interesting topics to talk about and share. When you build your presence in social networks, keep in mind that people aren’t only connecting with you and your brand and its representatives by liking your Facebook Fan Page or following you on Pinterest — they’re also connecting with other people who like your brand. By way of social networks, people can display their affinities — the things they like — in their feeds or content streams and on their profiles, pages, timelines, and walls. What they like is a reflection of who they are, and it connects them with like-minded people for online interaction. You want people to show how much they like your brand, to display their connection to you, and, in turn, to expose your brand to their online connections. 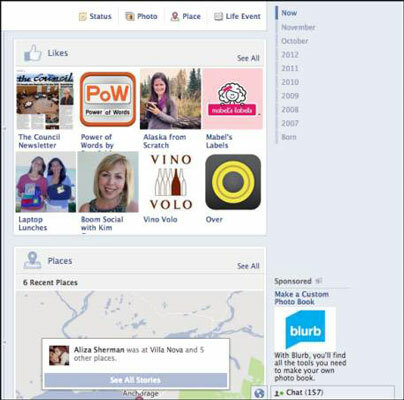 When a person likes a Facebook Page, the action appears in that person’s News Feed, and the Page icons for the brand are displayed on their timeline. Provide people with a place to connect with you via Facebook, Twitter, YouTube, LinkedIn, and other social networks that are appropriate to your brand. Cultivate communities of engaged fans and followers — wherever you’ve built your company’s social media presences that feel welcoming to customers and prospects alike. By making strong and consistent connections with your customers, you’re laying the groundwork for turning customers into evangelists and avid ambassadors for your brand.